Professor Surajit Basu is one of the most respected figures in the field of engineering in India. Graduated in ChE (JU) and PhD (IIT Mumbai), carried out Post-Doctoral work as Humboldt Fellow at the Tech University, Darmstadt (1972- 73 ) , and Tubingen University (May–Oct 1981), Germany. 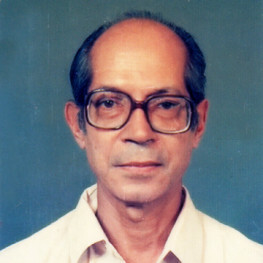 Dr Basu was the faculty member at IIT Mumbai for 33 years. Prof Basu completed many assignment In the year 1979-79 he was assigned by the JK Group as a first Director, Pulp & Paper Research Institute. As a UNO expert &visting Professor & scientist completed many assignment in the University of Bagdad , Iraq University,University Of Malasia, MOI University, Kenya Burma, Alexendria (UAE)(1987) Asian University of Bankok, Germany ,& France(1994), USA, and Canada (1987). Prof Basu was in the expert committee in the PRIME MINISTER‘S OF INDIA TCH MISSION ON DRINKING WATER (1998-92), SUGAR TECH MISSION. TIFAC of DST, Government of India. (2000-2002) and also other Govt of India bodies such as NAACOF AICTE, CSIR & UGC . As a Industrial Consultant completed many projects in the water recycling engineering ,pollution control & management. Major R & D & INTEREST DR BASU has in the field of Membrane based separation technology in industrial affluent management with recycling / drinking water & in Bio medical Engineering field. Prof Basu guided 15 PhD students and over 60 M. Tech Projects with over 100 publications. Presently Prof& Governing Body member at Genetic Engineering , WB Tech University& also the Governing body member visiting . And visiting Profesor of Javdapur&Calcutta University.Chief Editor ,” Green Earth “ MIEEM, Kolkata and Chairman ( CheDiv) WBSC IEI.